Spring has…sprung? At the risk of jinxing things, it is starting to get a little warmer and little sunnier. 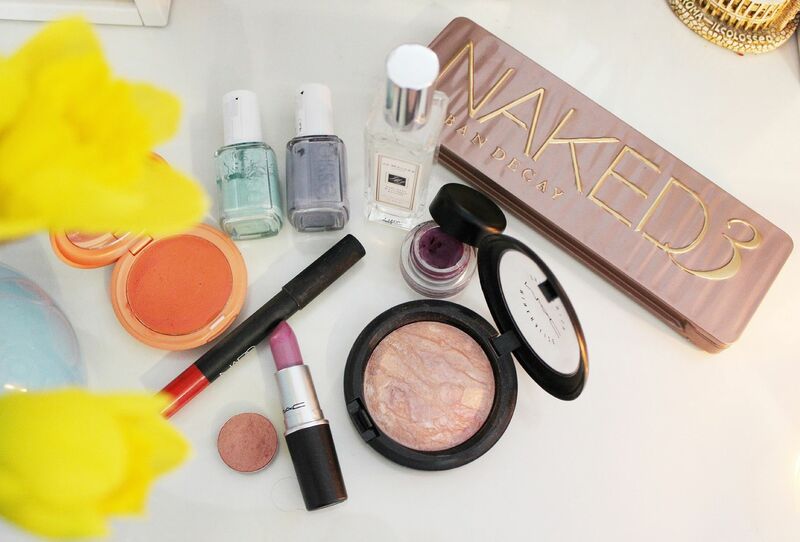 It’s no longer dark at 4pm, and lazy summer evenings no longer seem to be a distant pipe dream… Spring is in the air, and with a new season comes a seasonal makeup shakeup. Pinks and purples are in for me, so I’m going to be using my Naked 3 lots, and also MAC Expensive pink, one of my favourite shadows. Dreamy. I’ve also got grand visions of using my MAC purple gel eyeliner all Spring and summer, because it looks so fresh and pretty. For lips I’m feeling either soft pastels a la Lavender whip or loud oranges. I have NARS Red square pictured here, but I’ll also be rocking MAC Morange, Good to go and Neon orange. Mmm. To go with the orange pout and to add a dreamy glow I am obsessed with my Stila convertible colour in gladiator//gladiola. I just want to call it gladiator because I can. For cheeks I am lovvvvving MAC Perfect topping for adding the ‘perfect topping’ (hehe) to my cheeks. & by perfect topping I mean a serious glow! Grab it while you can. Nails are all about dem pastels. 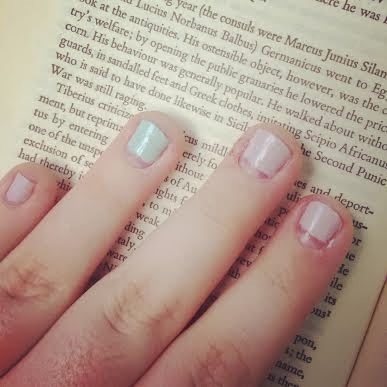 As taken from my Instagram (@laurzrah) – I am pastel obsessed. This is model’s own utopia & mint candy apple and it’s so so pretty. Utopia is gorgeous. I also *love* Essie’s cocktail bling, it’s the perfect shade of blue and my favourite polish… ever? & lastly for fragrance I will be dowsing myself in Jo Malone Earl grey & cucumber, because how awesome?! It smells so fresh and I lahhhhv it. Hope you enjoyed my Springtime ramble 🙂 Tell me what you’re doing at the moment!